A new fully-validated state-of-the-art tool for assessing earthquake risk in Europe, including hazard modelling, vulnerability analysis, risk evaluation and uncertainty estimation. Comprehensive treatment of all UNCERTAINTY sources in earthquake occurrence models, ground motion and vulnerability. Consistency and robustness of the results proved and verified through an exhaustive VALIDATION process. New HAZARD MODEL fully consistent with the results of the 2014 EU-funded project SHARE, a regional program of the Global Earthquake Model initiative (GEM). New harmonized database of VULNERABILITY CURVES based on the most recent research findings and on more than 300 fragility functions, vulnerability functions and damage matrices from all the major empirical, analytical and hybrid studies on building vulnerability across Europe, including several EU-funded research projects (Risk-UE, LessLoss, Syner-G). Detailed risk evaluation for building CONTENTS based on specific vulnerability functions for the type of building occupancy. High-resolution INDUSTRY EXPOSURE DATABASE based on the most updated information about building characteristics across Europe and developed with the aid of new Open-Source GIS dataset. Portable model, available on ERN’s R-PLUS platform. ﻿ NEW! The European Earthquake Risk Model implemented on the OASIS platform. Read more here. The European Earthquake Risk Model has been developed by RED – Risk Engineering and Development, in partnership with ERN – Evaluación de Riesgos Naturales. 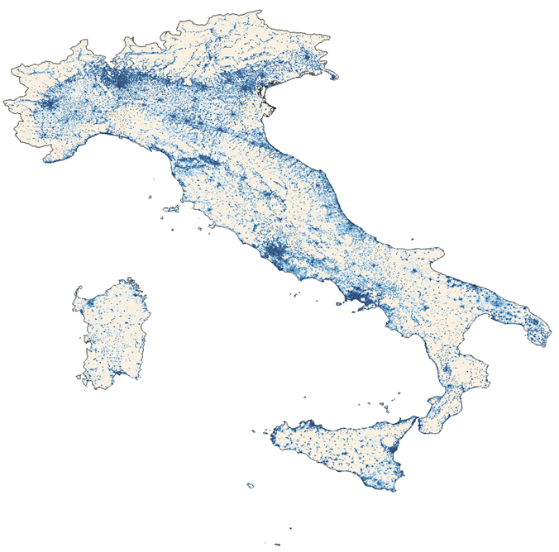 The project aims at the development of Hazard, Exposure and Vulnerability models for the Earthquake Risk assessment of 44 countries in Europe. 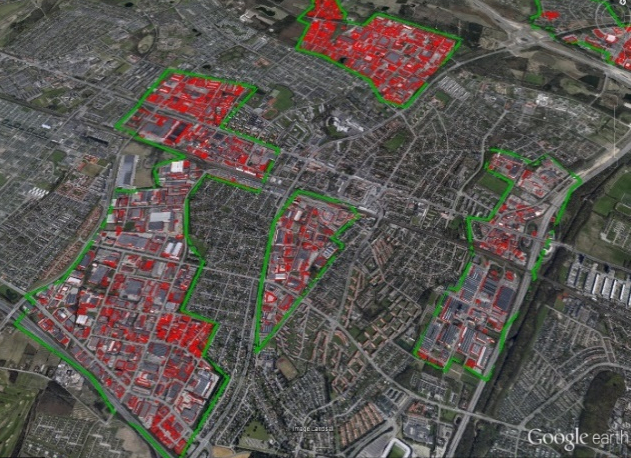 Based on state-of-the-art methodologies, tools, software and data, it tackles the generation of all the components necessary to the probabilistic evaluation of the effects of earthquake-induced ground shaking on residential, commercial, public and industrial buildings in Europe at country and portfolio scales. The new Earthquake borderless Risk Model leverages the results and findings about hazard, vulnerability and exposure of the most recent European research projects about earthquake risk analysis and assessment and makes use of newly available open data sources about physical conformation of the territory, population distribution, building stock characteristics and geographic distribution. The historical catalog, main active faults, seismogenic sources and final source models used in the development of the new hazard model are derived from the results of a collaborative programme of the Seventh Framework program of the European Commission, in which a community-based seismic hazard model for the Euro-Mediterranean region has been developed. The project, designated by the acronym SHARE, established new standards in probabilistic seismic hazard analysis (PSHA) in Europe, through a close cooperation of leading European geologists, seismologists and engineers. The earthquake hazard analysis combines two essential steps: a description of the future earthquake activity in space, time and magnitude; and the characterization of the expected ground motions resulting from all possible earthquake events. For the first time, the complex seismicity of the Euro-Mediterranean region is evaluated based on three different approaches. The first is a classical area source model; the second includes activity rates based on fully parameterized faults embedded in large background seismicity zones; and the third is a smoothed model that generates earthquake rate forecasts based on fault slip and smoothed seismicity. Ground-shaking intensity calculations are performed using ground-motion prediction equations that are adequate to distinct tectonic regions, and site-amplification factors are computed based on the assessed site-conditions. 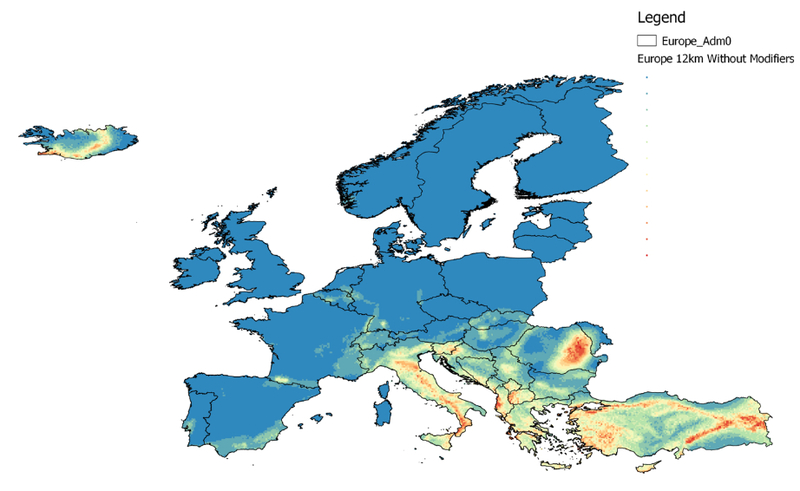 In the development of this model, the main building characteristics, occupancy classes, design requirements and construction techniques in each European country have been evaluated, in order to specify the variables affecting the vulnerability of the physical exposure portfolio. As a result, vulnerability functions have been derived for a previously defined set of building classes, compatible with the main existing taxonomies, such as HAZUS, Risk-UE and GEM, according to material/structural system, height and age parameters . 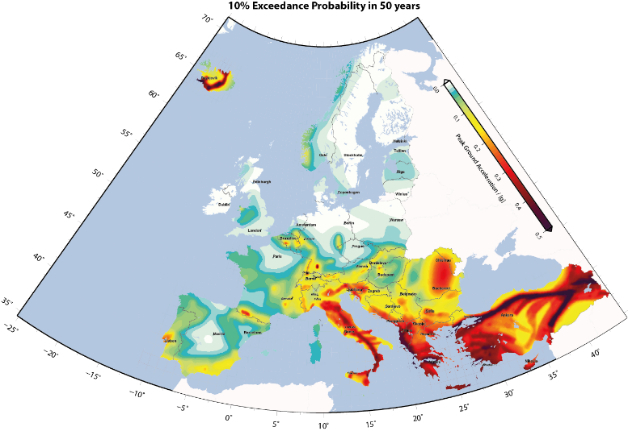 The resulting vulnerability model was developed considering loss data from the main events that affected Europe in the present and past Century, as well as an extensive literature review that led to the collection of a large set of studies concerning observed and estimated seismic vulnerability of buildings across Europe. More than 300 empirical, expert-opinion based, analytical and hybrid fragility and vulnerability functions that are consistent with the local built environment of the target countries have been collected and analysed, based on a comprehensive search of peer-reviewed publications, relevant conference proceedings, local scientific studies, technical reports, and other relevant sources. The developed Industry Exposure Database is based on several sources of information regarding the built-up environment, such as the latest available national census data, housing statistics, technical documentation, peer-reviewed literature and the main recent EU-funded projects. It has been additionally created and validated with the aid of new open-source GIS dataset. The final database contains estimates of (insurable and non-insurable) property exposures at the 30 arc-sec resolution, approximately 1x1km2 near the Equator meridian, including the number of buildings, the area and the replacement value differentiated in terms of occupancy type, line of business and construction class. Industrial buildings combining activities of transformation and manufacturing, transport facilities for road traffic and rail networks, and river and sea port installations. The model has been developed in order to provide the necessary loss metrics (e.g. ground-up and gross loss EP Curves, AAL, etc.) that are required by the industry for its earthquake risk management needs. The financial component of the European Earthquake Model handles all insurance and reinsurance structures, extensive reports for each analysis are available in order to understand the risk better and making it more transparent. The Model computes the pure premium of individual risks, the premium of non-proportional reinsurance contracts or even the overall catastrophe risk in a region or continent with exposure data of different quality and spatial resolution. In order to verify the quality and accuracy of the Model, a validation and calibration procedure has been performed. This included the analysis of each model component, namely, hazard, exposure, vulnerability and loss calculation modules, as well as the assessment of the accuracy of the corresponding results. Based on the collection of seismological, damage and loss data from relevant historical events, the different modules have been calibrated and validated by means of the computation of probabilistic distribution of event-based earthquake damage and loss and its geographic distribution across different building classes.